We're back! And I am bringing several new classes for the four days I'll be in sunny Florida. The first one is an all day class in what's called "More the Day Before." The New York Beauty is vintage updated with today's piecing using foundations - no funky templates. 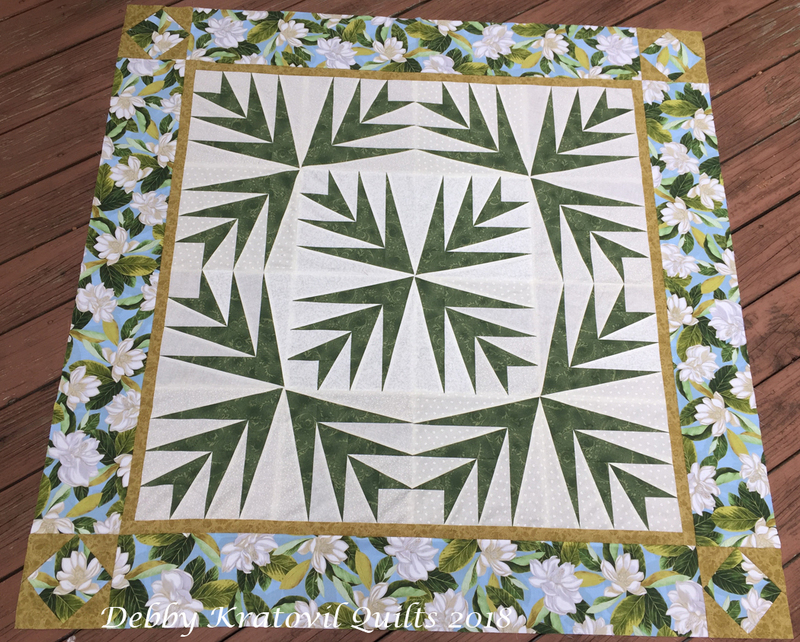 The center Dogwood Blossom blocks (7-1/2" finished size) are foundation pieced and then we set in the curves. The Dogtooth borders are also foundation pieced to get those awesome sharp points. The four corner Lone Stars are quick rotary cut for - you guessed it! - foundation piecing! 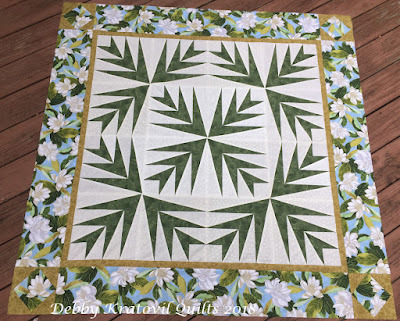 Debby has done it again, with classic blocks made simple and fool-proof. Conquer your fear of curves and points with this no-fail New York Beauty, updated with today’s fabrics and techniques. 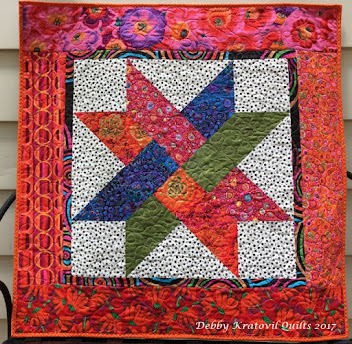 If you can sew a straight line, you can make this quilt. Using Debby’s Strip-EZ method of paper piecing, you can easily and confidently sew really sharp points, every single time! 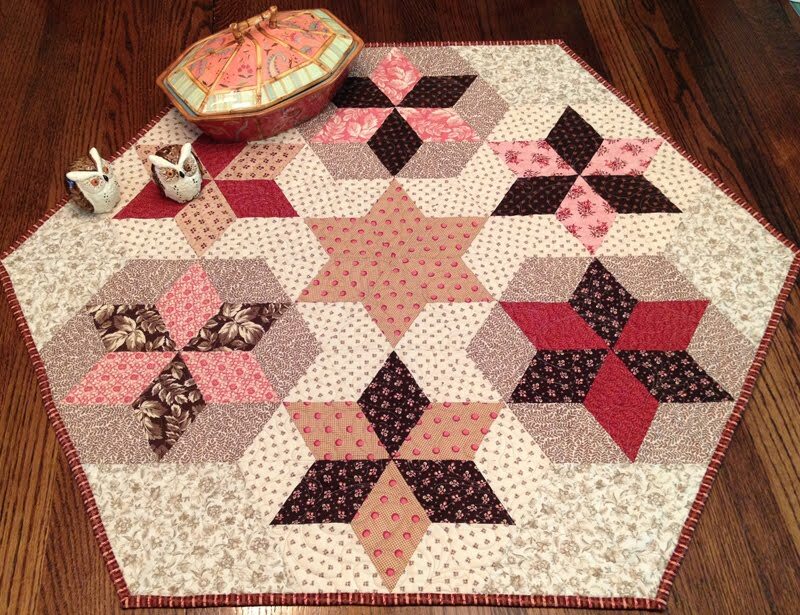 Set the blocks into the gently curved background units, surround with simple paper pieced Dogtooth borders and Lemoyne Stars and see how simple and fun paper piecing can be. Impress yourself! 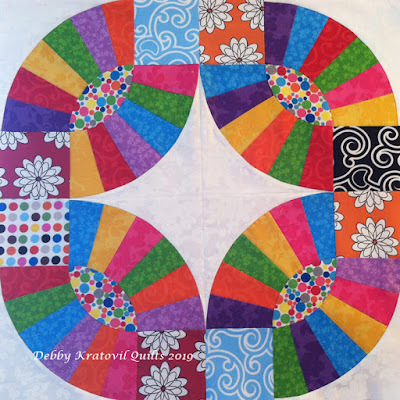 Pattern/kit contains well-illustrated, multi-page directions, master patterns for all three distinct units and several foundations to get you started! 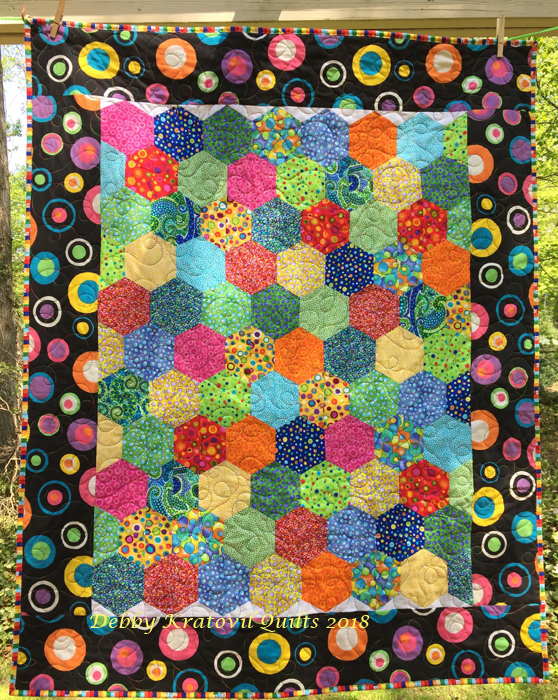 Now you can make a hexagon quilt without y-seams! 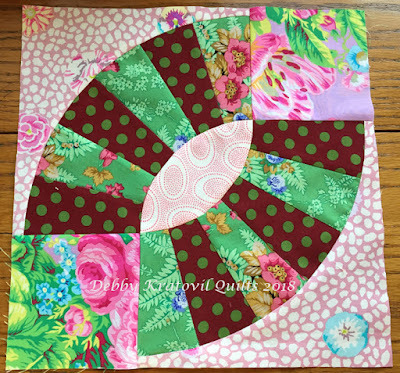 A real scrap buster project, this is a perfect way to use all the leftover 2 ½” jelly roll strips in your stash. 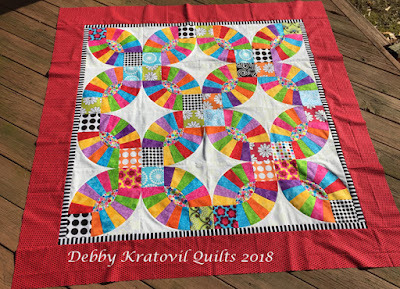 Everything is pieced in vertical rows, so it’s easy to make this as big as you wish once you see how easy the technique is. Quilt size as shown: 41” x 51”. Pattern/kit contains well-illustrated, multi-page directions AND an acrylic half-hexagon template for ease of cutting! Piecing curves is easy! 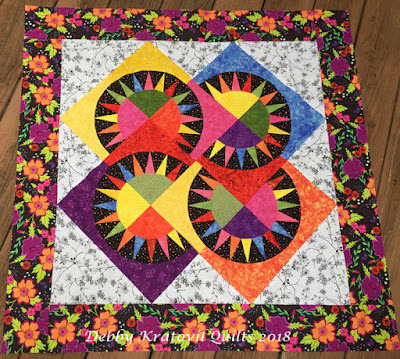 Use foundation techniques and gentle curves in large size units to create this relaxed variation of the Double Wedding Ring quilt. Add the center teardrop, squares and concave background pieces for 11-1/4 inch blocks. 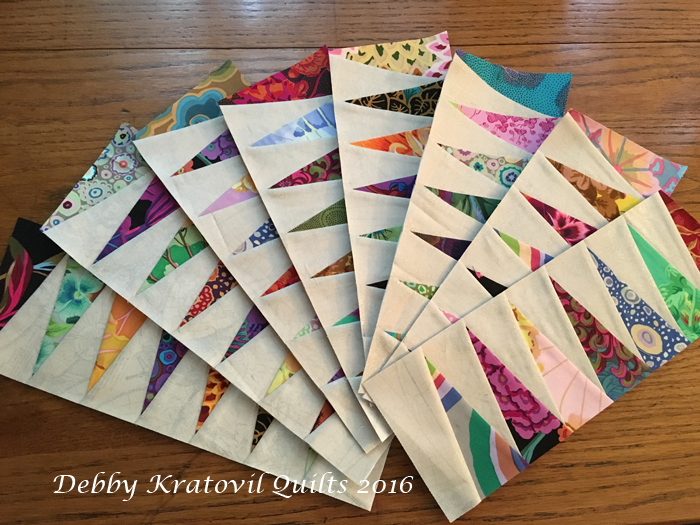 Make four blocks for a wall quilt, or sixteen for a bigger lap sized quilt. 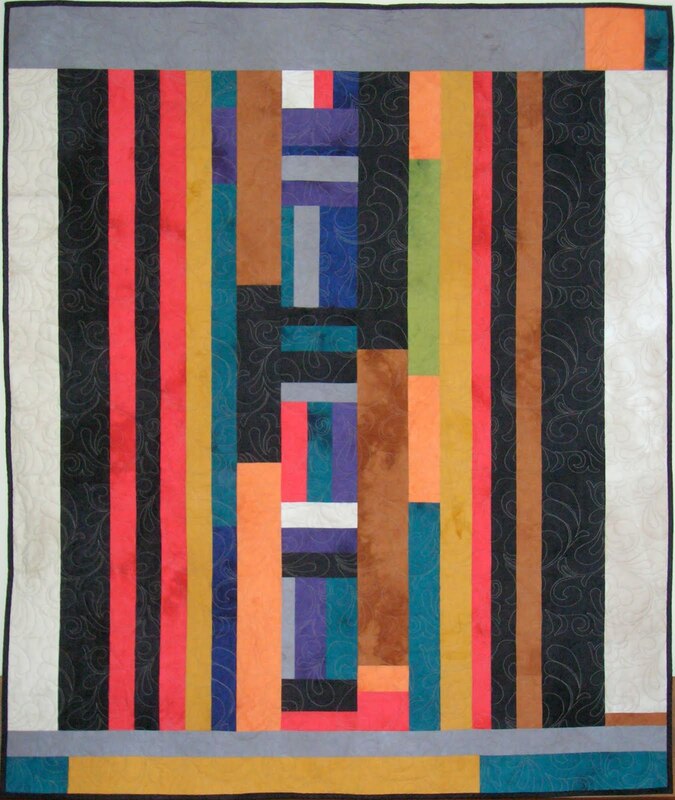 Or, think modern and use a few blocks with lots of solid color background for a dramatic quilt of your own design. Skill level: Intermediate (must have some paper piecing skills). The first sample is 4 blocks in black, red and white. Our class focuses on making a 4 block quilt. 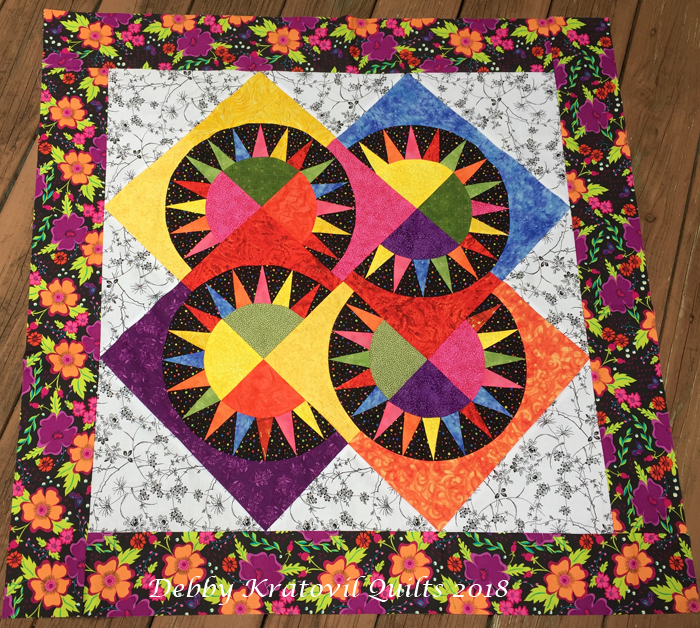 Four Pickle Dish blocks (22" x 22"
And just to inspire you (because I couldn't stop piecing)! Here are 16 blocks and borders for an awesome scrappy finish. Start your quilting experience on the right foot --- with Debby’s liberating, beyond-straight-lines, feed-dogs-down process. 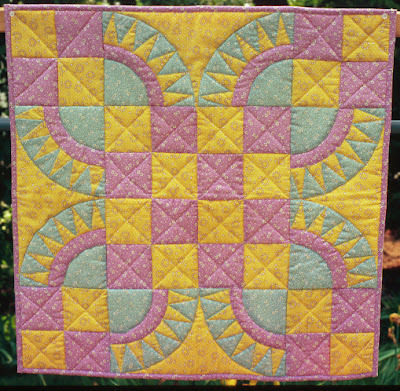 You’ll enjoy her simple methods for taking your stitches beyond beginners’ meanders and loops. 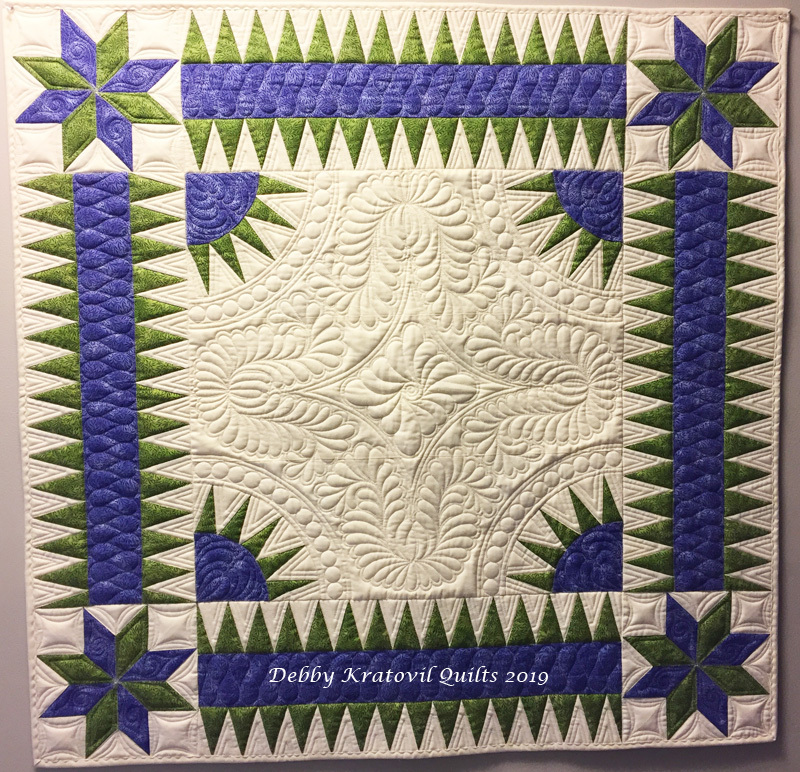 In the dozen years she’s been teaching beginning machine quilting, Debby’s students have been most comfortable following shapes, and so she gives you lots of practice time during class to use stencil shapes and one of her favorites, freezer paper shapes. Discussion includes quilting blocks (no matter the size) and borders, and a treasure trove of samples to illustrate how dynamic her KISS (Keep It Small and Simple) quilting style can be for you, too. Recreate this vintage Palm block in a 10 inch size without weird templates. 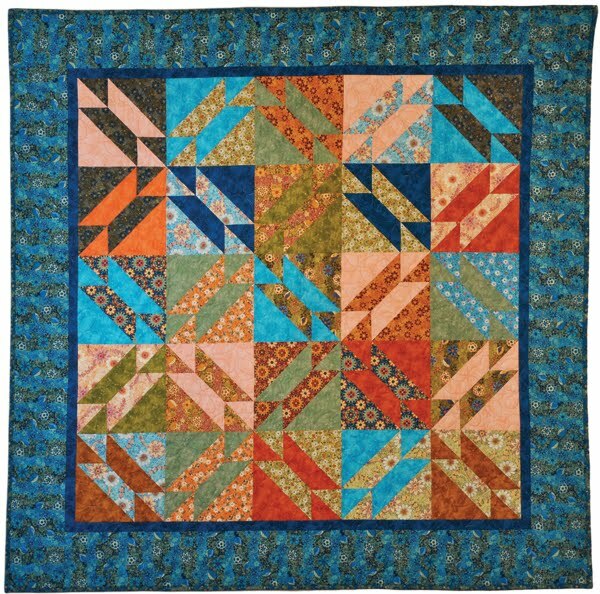 Experience the trick in class: it’s paper pieced in ONE section, using an off-center Log Cabin technique. Amazing! 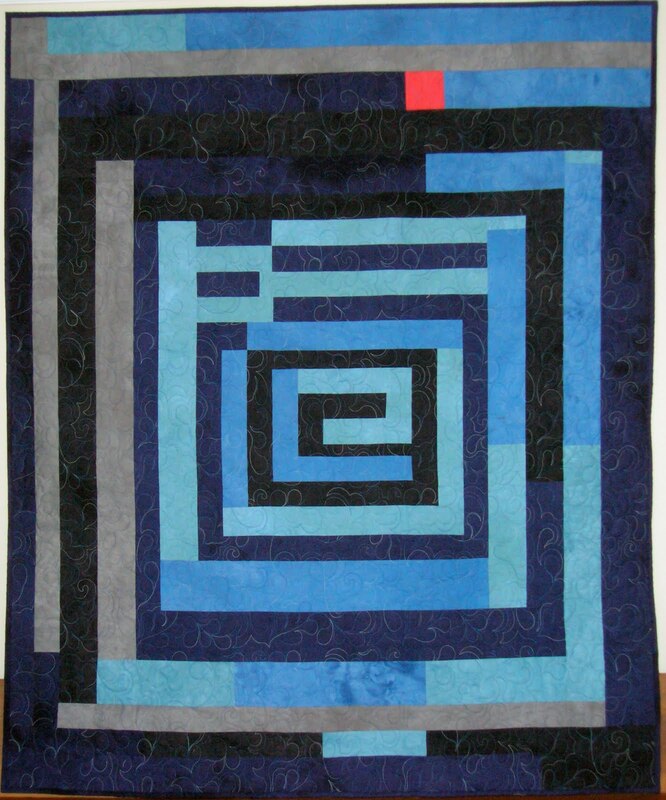 Make 8 blocks and learn how to set them on point to create this 42 x 56 inch quilt. Pre-cutting of your fabrics before class gives you a head start! 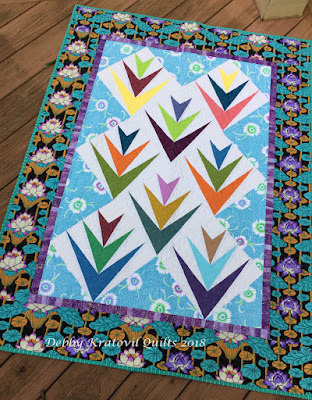 Big Block Palm Quilt: 42" x 56"
And can we see a few other ways to use these blocks? These will not be patterns for the class, but just wanted you to be inspired. 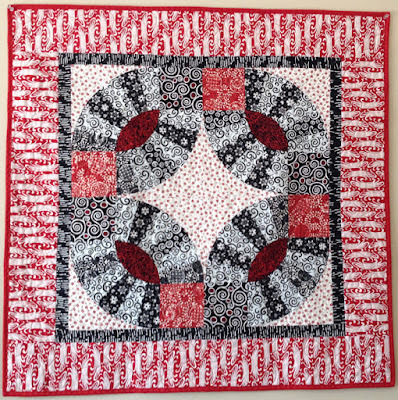 And I really went crazy here and pieced 16 blocks and set them into my "When 4 Becomes 5" setting. 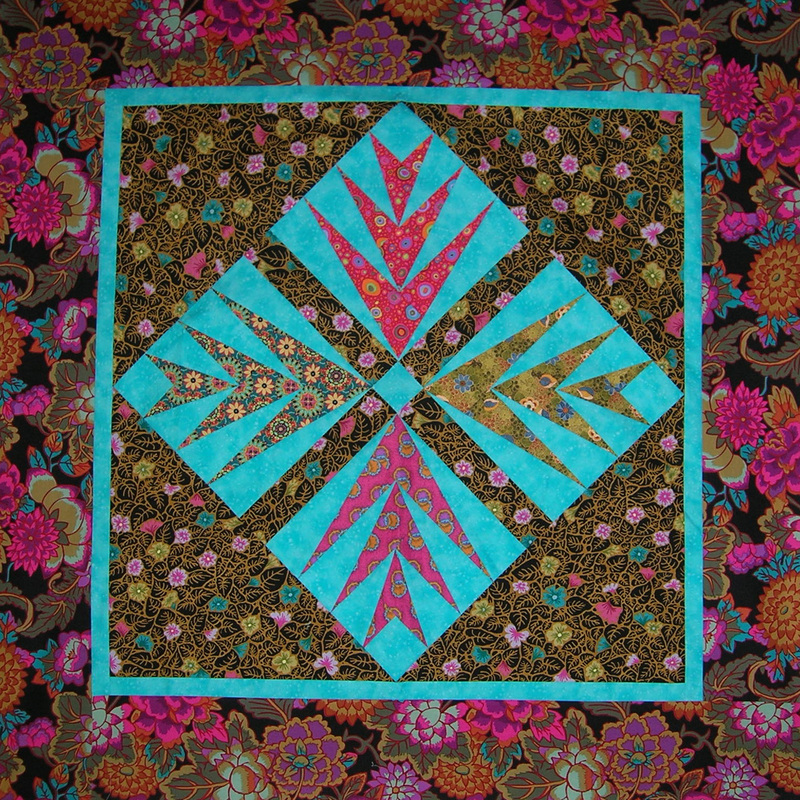 This is one block that I've made several quilts with. 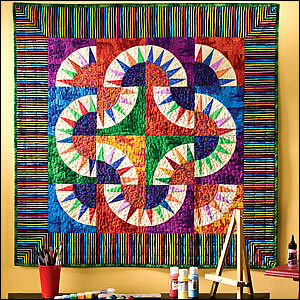 This updated, popular vintage pattern is made doable with paper piecing, for reliably achieving all those sharp points! Learn how easy it is to sew curved pieces to the foundation arcs, and how to set the 12 blocks on-point with perfectly cut triangles. 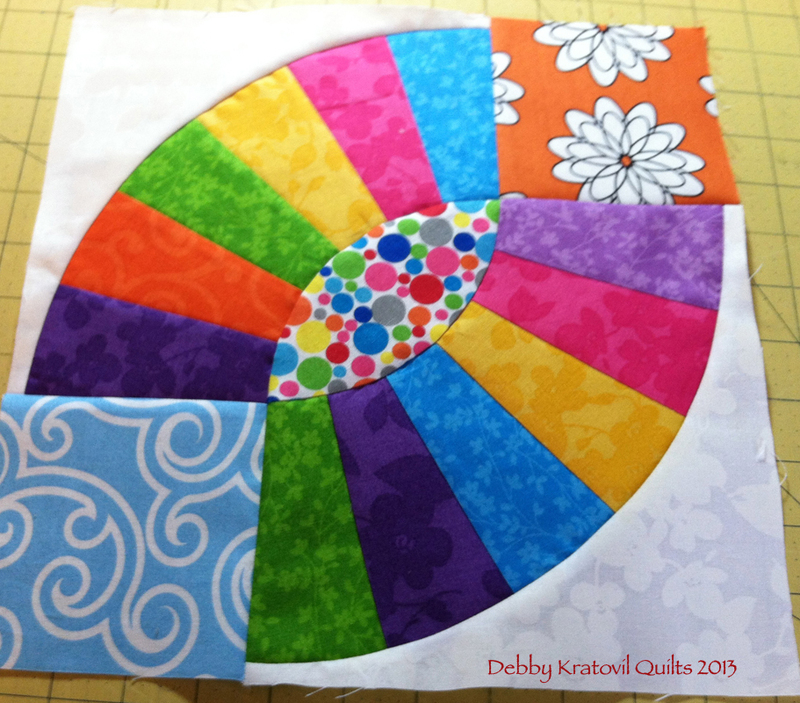 Choose your own color palette and precut your strips for an adventure in piecing curves with accuracy. Block Size: 7 inch. Quilt Size: 37 x 37 inch. And let's see a few others. This one was made around 2003 and was stolen in 2005. This is the first time I drafted and stitched the Dogwood Blossom (with a little extra 1/4 donut shape added). 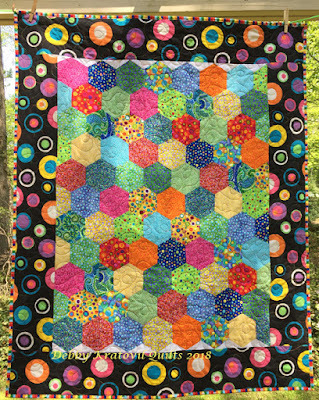 I miss this little quilt. 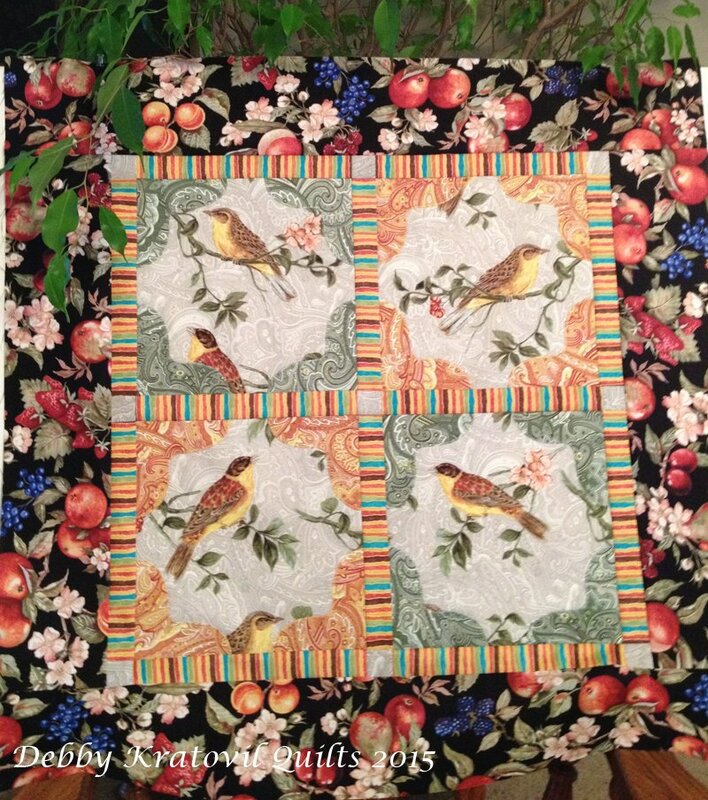 I hope you'll consider joining me at the Lakeland Sewing Expo for some exciting classes. And let's just think about all that sunshine and warm temps we'll be experiencing. Sure beats the snow and cold we have here today! 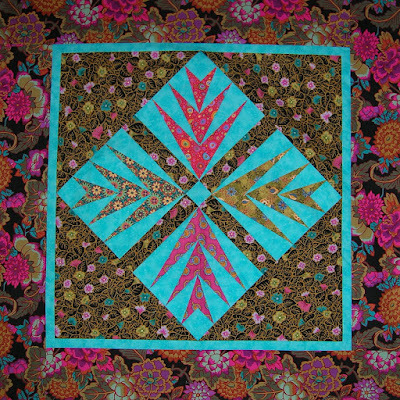 Your quilts are very beautiful. The paper piecing method seems to be a relaxing way to sew but I have no time to put into it yet as I have several ufo's to finish first. Thanks for all you do for us. Wish Lakeland was MUCH closer to where I live so I could take one of your classes. What's a Quilt with Two Missing Blocks? The Red Hat 2019 BOM is Here! 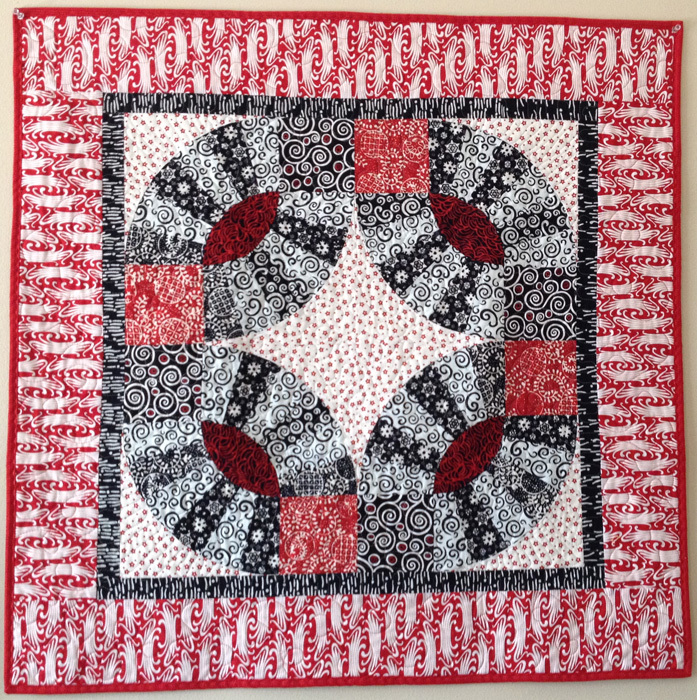 Quilting with Plaids and Stripes - and Giveaway!